Semi-detached ground floor retail unit with return frontage. Ground floor area: 1,323 sq ft. Shell finish, ready to be fitted out to meet individual occupier needs. Terms: New lease on terms to be agreed. There is a deal to be done on this unit. Contact Ben Blain to discuss further. Smallest remaining unit within Penrith New Squares. 1,129 sq ft of ground floor space adjacent to Boots Opticians and Dream Doors. Ready to be fitted out. Terms: New lease on flexible terms. Regular shape with return frontage. An attractive self-contained unit, set within the Penrith New Squares shopping centre and close to Penrith town centre and Angel Lane. Suitable for a variety of retail uses, office and small showroom. An opportunity to acquire a town centre building suitable for a variety of commercial uses, or subject to planning, conversion to residential. Most recently used as a charity shop, the accommodation provides a ground floor sales area of rectangular shape with first floor storage / offices. The building benefits from access from both elevations and car parking is available on the surrounding streets. 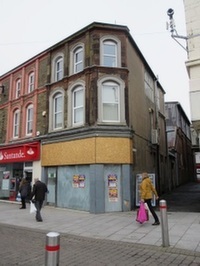 An ideal opportunity for someone looking for owner occupation or investment. Terms: Offers in the region of £75,000 are invited for the freehold with vacant possession. 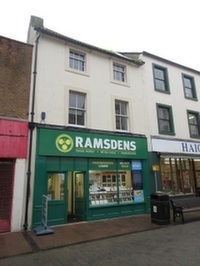 Let for a term of 10 years from June 2018 to Ramsden's Financial Ltd at a passing rent of £12,000 p.a. rising to £15,000 p.a. from year 4. Upward only rent review at the end of year 5. Ramsden's currently has over 120 branches throughout Northern England, Scotland and Wales and was established in 1987. The company has developed into a recognised and trusted national high street retailer. Terms: Offers in the region of £155,000 are invited for the freehold interest. A modern ground floor unit positioned within a strong secondary trading location in the town of Whitehaven. Ready for immediate occupation. Suitable for a variety of uses, subject to planning. Available TO LET on a new effectively full repairing and insuring lease by way of service charge for a term of years to be agreed. Modern ground floor retail unit, close to King Street. Set at the heart of Wigton town centre, 8 High Street is a traditional 3 storey building suitable for a variety of commercial uses. Available TO LET on a new lease for terms to be agreed. An opportunity to acquire a well established café and restaurant business set within a busy Cumbrian town. The property provides the purchaser with a range of potential to develop the business further. The business has been trading for 10 years. The unit is fully equipped with kitchen facilities, DDA access and has fully furnished ground and first floor seating areas. Available by way of assignment of the existing lease, expiring 24th July 2019 at a passing rent of £12,000 p.a. Offers in the region of £20,000 for the goodwill, fixtures and fittings and furnishings with the business. 74 Pow Street comprises a primary positioned ground floor retail unit conveniently set on the Pow Street/Murray Road/Finkle Street merger. The property provides a rectangular shaped sales area, suitable for a variety of uses. An integral staff kitchen and separate male/female wc's are fitted at the rear. Terms: Rent: £24,000 per annum exclusive. A ground floor unit, suitable for a variety of commercial uses. Extensive glazed frontage to Finkle Street. Open plan regular sales area with staff ancillary and stores to the rear. Externally, the property has parking outside and the ability to load and unload from the rear. 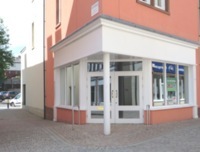 A substantial ground floor retail showroom of a regular shape with excellent window display frontage. The property benefits from disabled access via a ramp from street level. Internally comprising open plan showroom with ancillary offices, stores, kitchen and WC. Other uses could be considered subject to planning. Carigiet Cowen are excited to offer the opportunity TO LET this substantial property positioned close to the main shopping areas of Workington. The unit lends itself towards a variety of retail and office uses, subject to planning. The ground floor provides a generous 3,400 sq ft floor plate with additional sales/office areas to the first and second floors. Available TO LET on a new lease from January 2018 on terms to be agreed. Alternatively, consideration may be given to a sale of the property. Acting on behalf of the owners, Carigiet Cowen are delighted to be marketing Cumbria Aquapets which has operated from Fisher Street since 1988. The well established business currently specialises in the sale of tropical fish and cold water pond fish, as well as retailing in a variety of aquarium supplies and products. The business boasts successful turnover and net profits for the recent years and full details can be made available to genuinely interested parties following viewing. Cumbria Aquapets has an extremely good reputation and this is evidenced by receiving a high number of 5 star reviews on social media sites. The business has a lot of potential for the right purchaser and the opportunity to build on the extremely reputable business even further. The current levels of turnover could easily be increased by extending the current number of opening days during the week and offering sales of alternative animals including reptiles. The business is situated within a three storey end of terrace building comprising ground floor retail and upper floor residential accommodation currently laid out as a 4 bedroom flat with bathroom, kitchen, living and dining areas. In addition a garage to the rear provides parking for a car or van. Terms: Offers in the region of £215,000 are invited for the freehold property and established business, fixtures & fittings, goodwill and necessary licenses for operating. Two storey corner unit, providing ground floor sales with ancillary staff and storage accommodation. First floor is suitable for sales and further storage. Available by way of a new FRI lease on a term of years to be agreed. An opportunity to rent or buy a prime commercial unit set at the heart of Workington town centre. The building is suitable for a variety of uses and in the event of a sale, conversion of the upper floors to residential may be possible. Alternatively, a Sale of the freehold would be considered. Price on application. Terms: To Rent: £17,500 p.a.